I Love That Film: Hathaway to Rage Against the Machines in Spielberg’s ‘Robopocalypse’? Hathaway to Rage Against the Machines in Spielberg’s ‘Robopocalypse’? 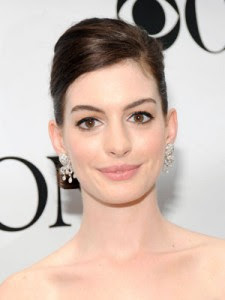 Exciting news brewing with casting rumours of Anne Hathaway and Chris Hemsworth sniffing around Steven Spielberg’s adaptation of Daniel H. Wilson’s 2011 book Robopocalypse. The Hollywood Reporter states that not only are Hathaway and Hemsworth negotiating to take leading roles, but also the film is set to be produced by Tom Rothman, the outgoing chairman of Fox Filmed Entertainment. Rothman has been confirmed by DreamWorks in a statement yesterday and casting confirmations should follow soon. Read more of this story at Filmoria. To read more about Robopocalypse, see my review here. Before Midnight Before You Know It! Fall in love, see the sights, have a laugh!